For the first time since the attack of 9/11, Capitol Hill opened up access to sledding down its lawn for this past weekend only. Sen. Chris Dodd (D-CT) petitioned for a special waiver to allow residents to take a turn on the normally restricted space, according to The Hill Is Home. Prior to its access being restricted, Capitol Hill’s lawn has had an illustrious history as one of the best places in D.C. to take a spin on your favorite piece of metal and wood. The Hill Is Home's report noted that Dodd's wife, Jackie Clegg, spread the word to residents via a Capitol Hill listserv, adding that sledders "may need to let officers know that it is allowed this weekend." 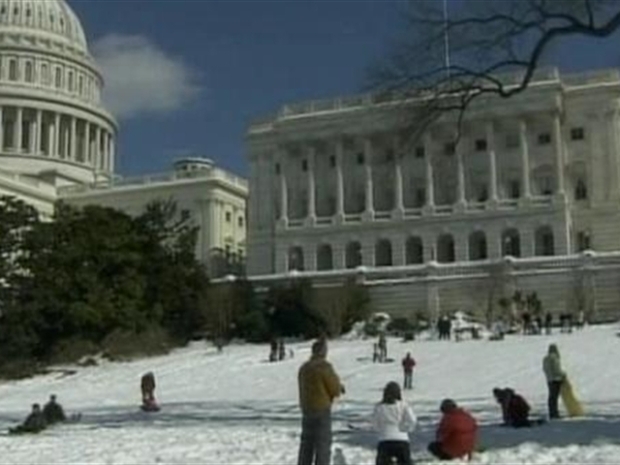 Valentine?s Day marked the first time that sledding was allowed on Capitol Hill since the attacks on September 11th. Plenty of people took advantage of the opportunity. Hey, who knows the next chance you'll get to ride with the majestic Dome in your rear view?